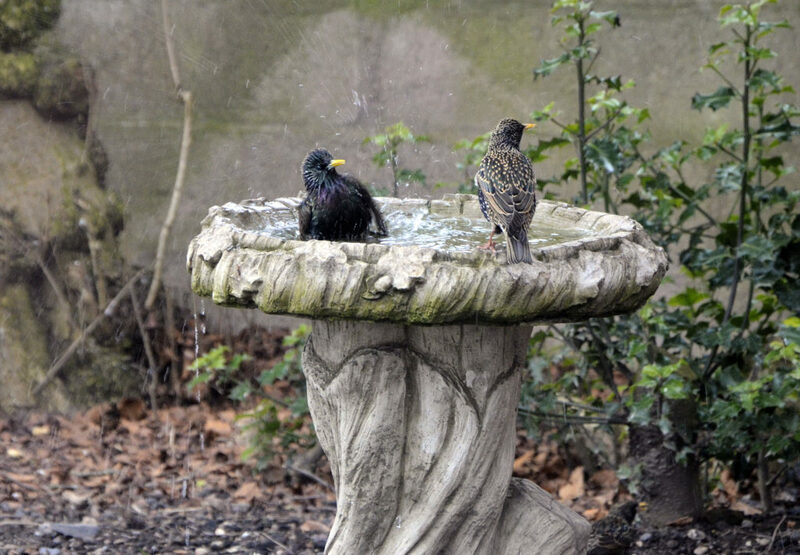 Spring means the return of communal bathing season. The birds didn’t do much bathing over winter, unsurprisingly. Now the sun forays forth occasionally and Floralia is upon us, they are back at it. It’s also baby-making time, so our garden is a flurry of frantic feathered fauna doing their best to put ALL THE FOOD into their beaky faces to take back to the nest. While chatting with a colleague at work over a break, looking out the window at some seagulls, I voiced aloud my imaginings of what the birds might be thinking. She expressed surprise that anyone would do this — I have no idea whether this habit results from a childhood of indoctrination by Johnny Morris, or simply my constantly hyper-active imagination. I can only assume there’s something instinctive about it, though; since being exposed to the concept, my colleague tells me the habit has caught on. If it had been suggested to me even five years ago I could produce an eighteen line poem in the space of ten minutes, which — critically — I would not be too embarrassed to read out to a dozen people I barely knew, I would have found it hard to believe. Exercises like this are good reminders of why all the writing and reading is important. Even writing one has no intention of ever seeing the light of day presents an opportunity to embed a reluctance for copulas, a mental red flag for flabby words such as “that” and “very”, and the habit of specificity. I think, these days, even my imaginary conversations between starlings need less copy-editing than they used to.